Blu Tack Colour is the same as Blu Tack but in five vibrant colours! Multiple uses in the office, factory, workshop, school or home. Very pliable and non-toxic. Stick, position, hold. Individual 75 gram compact pack. BEST SELLER. 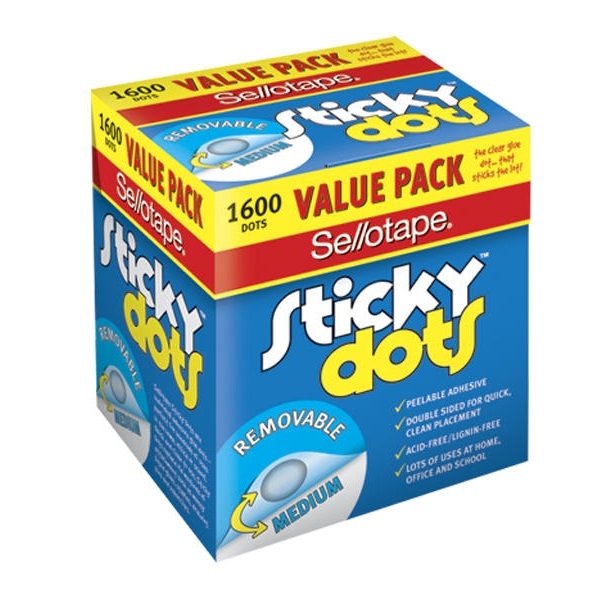 The original re-usable adhesive with a thousand and one uses! Box of 10 packs of convenient 75 gram size. 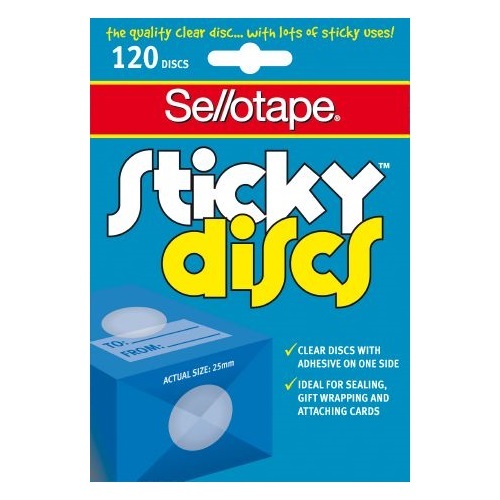 The clever adhesive to use and re-use at home, school and the office. Tac what you need to know with memos, messages, charts and lists. Tac your desk accessories - keep your calculator, stamp pad and telephone firmly in place. No colour staining with a strong adhesive bond. The UHU Dry & Clean Glue Roller is unique. The fantastic 'micro-dot' system of applying the glue guarantees no mess or stringy finishes. The single reel ensures correct tension so that there is no more rewinding... the ergonomic design ensures your comfort and that the UHU Glue Roller is easy to use. Size - 6.5 mm x 8.5m - Manufactured from 80% Recycled Plastic. Box of 6 glue rollers on individual blister packs. Immediate and strong adhesion, no need to wait for glue to dry. Ideal for general office use or gift wrapping. Precise application with wide applicator tip, no mess, no wasted glue. Single-handed application, unlike sticky stape that requires both hands. 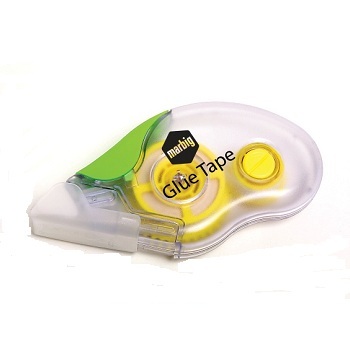 Rubberised grip for comfortable use and protective cover to prevent tape from damaging. 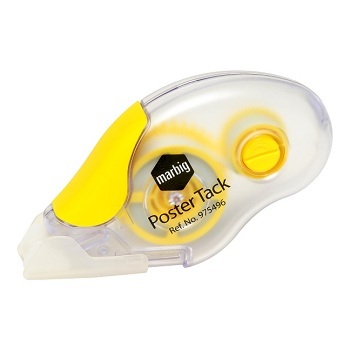 The Marbig poster tack is used for mounting light weight paper and artwork. Ergonomic rubberised grip for comfortable use. Protective cover to prevent damage. Easy, single handed operation. Precise application - No mess! No waste! Repositionable. Leaves surface clean when removed. 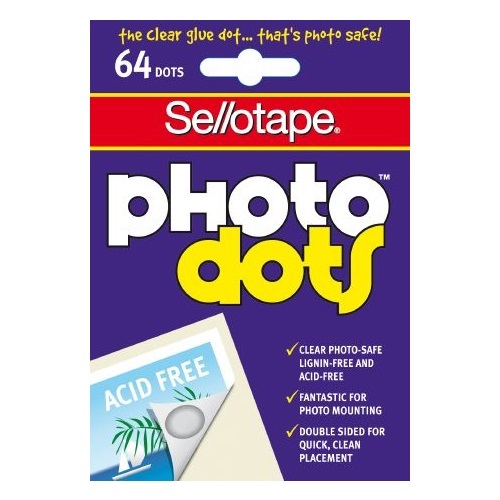 Pack of 80 removable glue dots. Clear double-sided permanent adheive glue dots. A quick replacement for messy liquid glues, tacks and drawing pins. Pack of 80 permanent glue dots.